Special cork granules and selected rubber produce rubber cork sheets for all kinds of sealing and vibration isolation. The obtained material is extremely flexible, mechanically resistant and completely resistant to greases, oils, fuels, gases and many other chemical substances. It is mainly used for the production of gaskets for machines, devices and vehicles. The success of these advanced rubber cork products consists of vast experience in this demanding industry, knowledge gained over the years and the latest production technologies. Nature, industry and science combined into one. 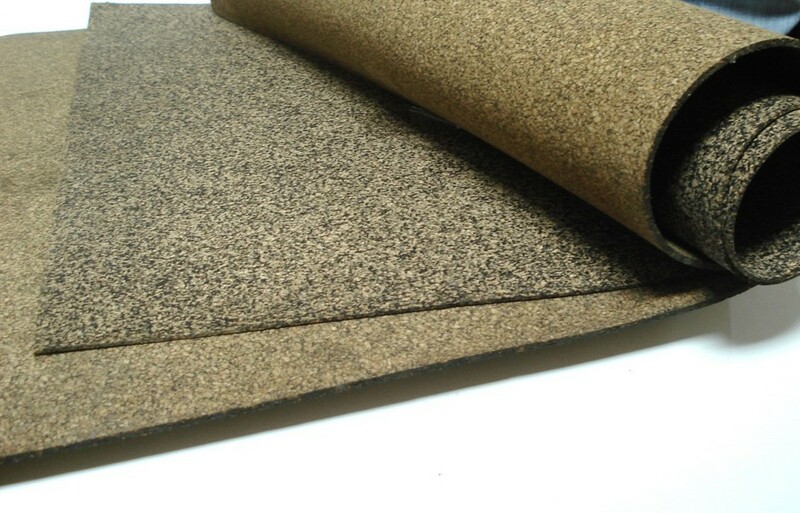 In our regular offer we have cork rubber sheets in the 1000x1000mm format with a thickness of 1 to 10mm, the largest Portuguese producer, Amorim Cork Composites. The offered cork rubber gasket material is a wide range of proven solutions commonly used in the automotive and energy industries. Together with the rubber cork sheets you get engineering support and technological advantage, allowing you to select, design and produce any seal. The rubber cork allows to use of a larger contact area and the achievement of a higher compression ratio, which guarantees an effective barrier against potential leaks, distortions and leaks. The cork rubber gasket sheets are designed, manufactured and tested in such a way as to meet all the requirements for a given application, while maintaining high economy and cost-effectiveness. Rubber cork material is characterized by high resistance to the media used in industry, eg fuel, lubricants, cooling agents, gases. The most demanding applications are dedicated to cork rubber gasket material NC710, NC711, NC711G and UL157.